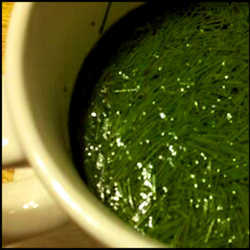 This is a good article on making pine needle tea. It contains warnings with photos on the pines that it’s NOT safe to use. It’s a must read for those who are new to pine tea. Most conifers are safe to experiment with tea preparations, but there are three you must avoid! They may be used by the pharmaceutical industry to create safe levels of extracts for drug manufacturing, but individual brewing could be hazardous. via The Amazing All-Purpose Pine Needle Tea. pine needle, pine needle tea, safe pine tea, toxic pine, which pine not to use, which pines are safe, which pines are toxic, which pines to use. Bookmark.